Our bells were ringing as the Flame rolled into Abergavenny earlier today. 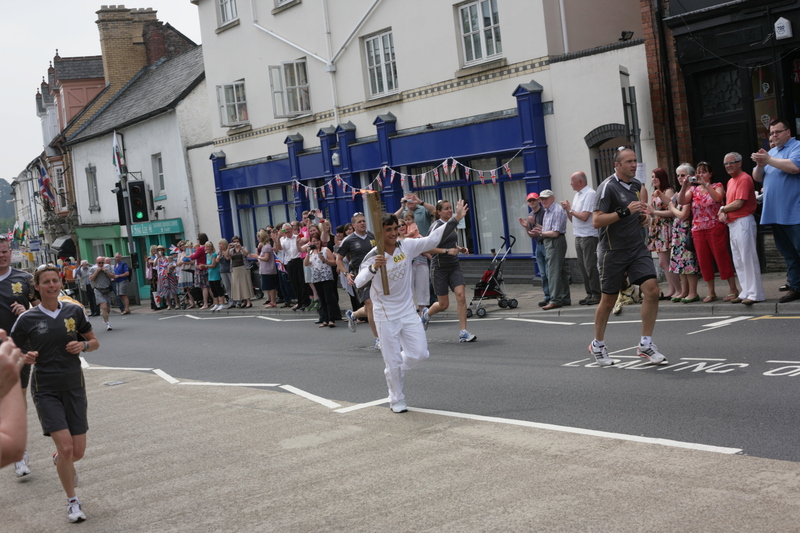 The whole town seemed to be out to welcome the runners, stewards, flame and torches through the town. 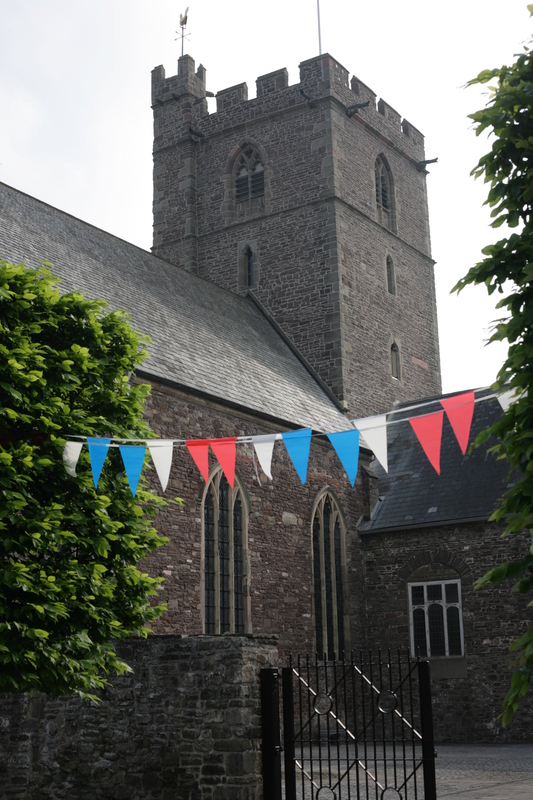 Our bunting has gone up, and at just the right time our scaffolding has come down. If you like something different, you might love these. 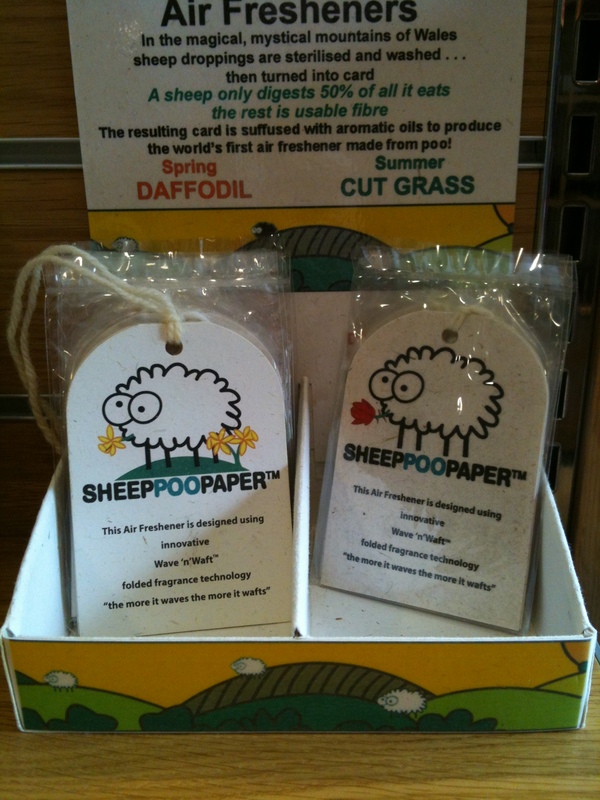 We stock air fresheners at the Tithe Barn, but not any old air fresheners, Sheep Poo air fresheners. Made from droppings found on Welsh mountain sides which are sterilised and washed then turned into card. Suffused with oils, we have Spring Daffodil and Summer Cut Grass varieties, these can be hung anywhere that needs to smell a little sweeter. 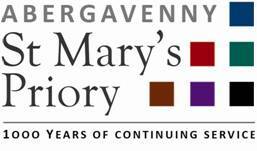 We are proud to host the Abergavenny Tapestry here at the Tithe Barn. It draws in visitors from around the world. We stock a range of souvenirs, including fold out postcards, bookmarks, guides and both full size and mini puzzles. 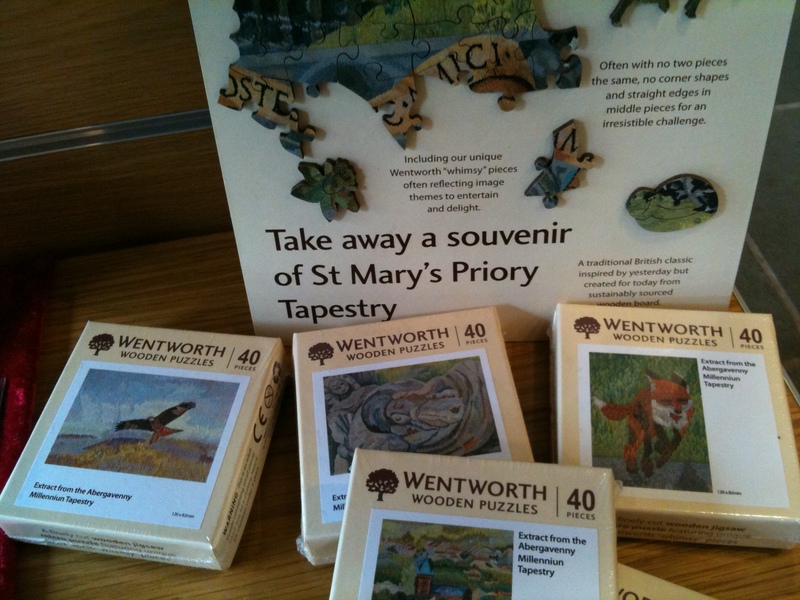 The puzzles featured here are high quality Wentworth wooden puzzles, they are an irresistible challenge, featuring no corner shapes or straight edges in the middle pieces, and ‘whimsy’ pieces reflecting the themes of the Tapestry. The pigeon holes in the Tithe Barn which were the inspiration for all the wood work at the Barn have also become the inspiration for the logo. The Logo contains a a different coloured ‘pigeon hole’ for each aspect of the Priory: The Learning Services, The Parish Church, The Priory Church Choir, The Abbots Garden, The Priory Centre and The Tithe Barn. 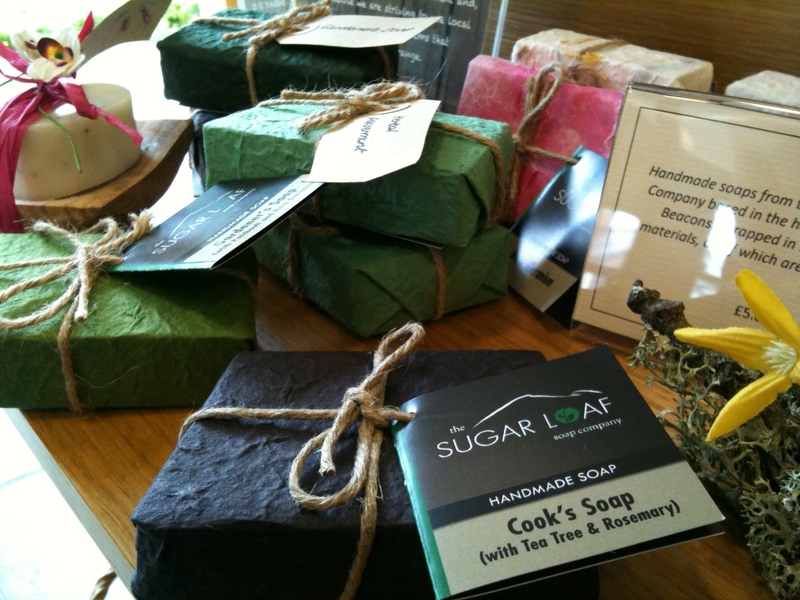 We stock a range of beautiful handmade soaps at the Tithe Barn, from the Sugar Loaf Soap Company – based in their barn at the foot of Sugar Loaf mountain. They are made from high quality and ethically sourced raw materials and wrapped in 100% recycled and biodegradable materials. They smell fantastic, and are a perfect gift for yourself or someone else.